The album title for, These People in my Head, grew from a song title Sarah had in her lyric bank for years. “I felt that it was a nice peace offering I have with myself. If I just call it all out, and lay out my demons a little bit, the people in my head have less effect on me. All metaphoric of course.” The album was recorded at keyboardist, Matt Parmenter’s studio, Ice Cream Factory Studio, a professional studio he runs in a space which has been home to And You Will Know Us By The Trail Of Dead, Paul Barker of Ministry, and many more. Having access to their own studio gave Belcurve the latitude to experiment and make their “songs grow in any direction we please.” They are able to dig in to find a new way to approach whatever’s not working and they have the freedom to stretch in a variety of directions, which helps create a truly unique sound. Band leader and vocalist Sarah Castro has always had an aptitude for music. She started showing an interest in piano the moment she was able to get her hands on one and continued to be mesmerized by the instrument. She pursued her next instrument, the flute in 4th grade, followed by choir in 6th grade. After learning how to sing she continued to write songs on the piano. She also received her first guitar at age 12, but did not start actively and seriously playing it until she was already out of high school. Keyboardist, bassist and producer Matt Parmenter started playing piano at a young age, thanks to the support of his father who also plays bass and keys. Sarah doubles as the lyricist. She writes songs which are all over the map, from the character of a person to breakups, and even the supernatural, including witches and ghosts, while using a multitude of metaphors to put form to her thoughts while writing. 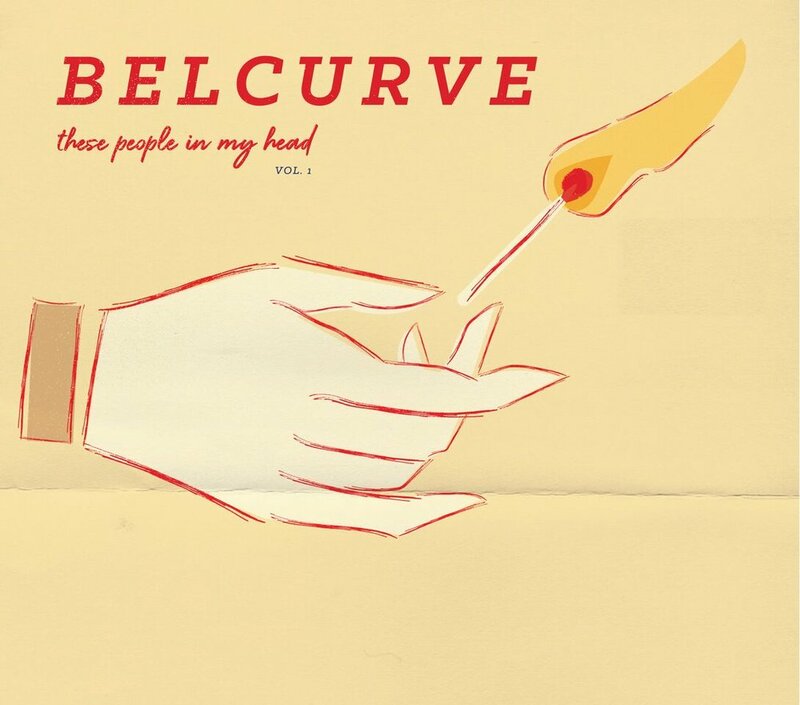 Belcurve hope listeners have a feeling of connection with the meaning of their songs, even if they don’t have the same interpretation as the band. Sarah hopes that her audience can really feel something from her lyrics. Belcurve wants their songs to make their audiences take a closer look at themselves, and hopefully open their eyes to the diversity of life around them. Belcurve will be releasing a new video, “Strangers,” in the next couple of weeks and will embark on a tour beginning August 24th, where they will travel to Dallas, Nashville, Louisville, Chicago, Minneapolis, Cincinnati, Athens and Baton Rogue.